Parking Services oversees parking operations on the IU South Bend campus. Students, faculty, and staff will find permit parking throughout campus or use metered parking. 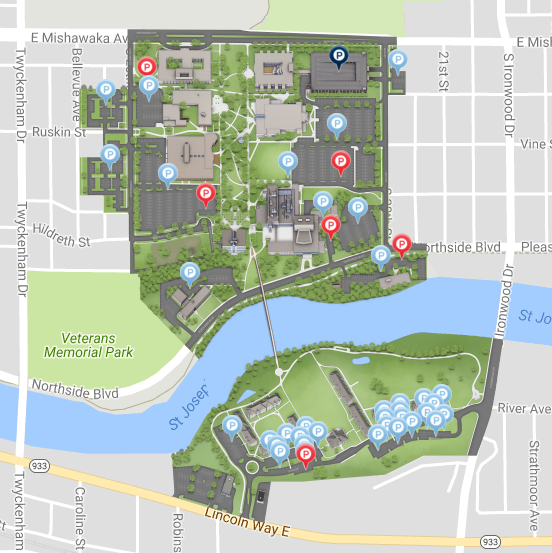 You can find all parking locations, including bike racks on the IU South Bend interactive map. Lost and Found is located in the Parking Services Department, Administration Building Room 112. The Parking Office cannot guarantee that the property you lost will be found. All lost property will be held for a minimum of 1 month. All found property that may be a health/safety or security concern will be disposed immediately. All property containing personal information (SS card, checks, debit/credit cards, birth certificates, etc.) will be kept for one week and then properly disposed.